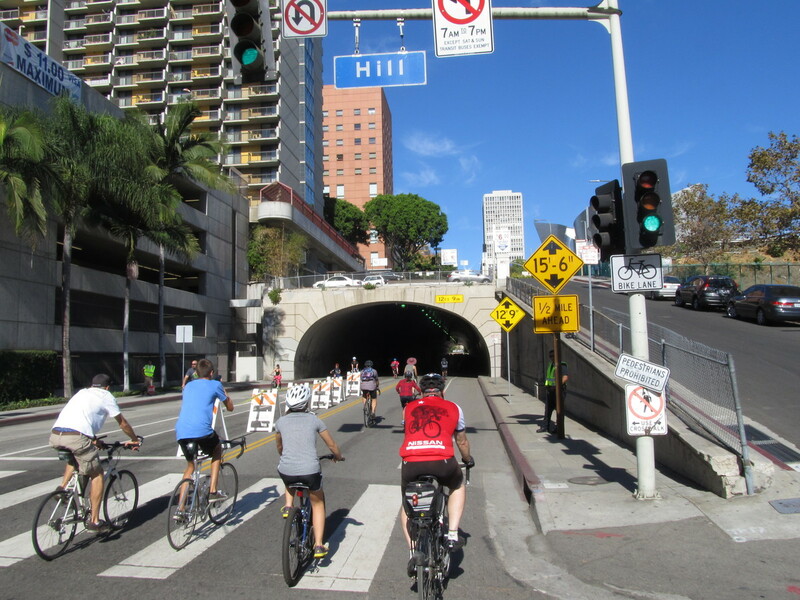 Today was the latest CicLAvia, and we went to ride it. 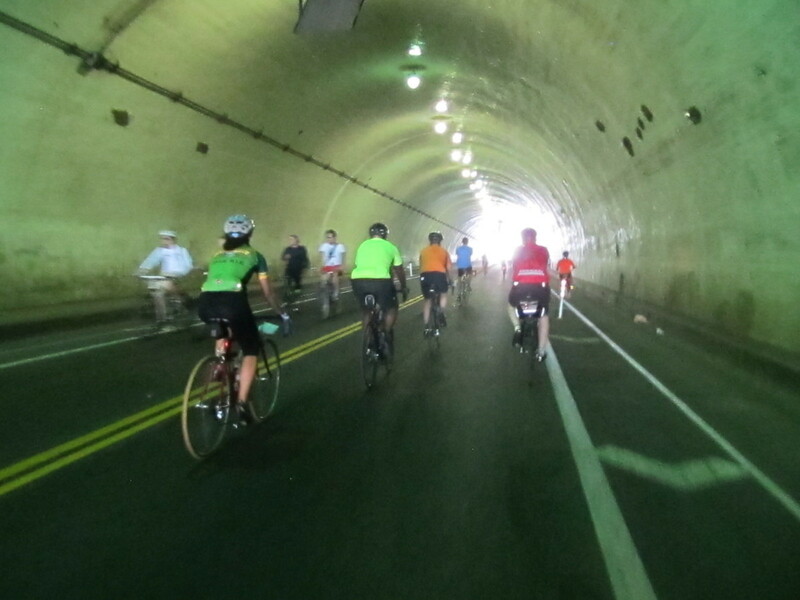 We haven’t been to one of these since April of last year, but I’d noticed that the route this time went through the 2nd St tunnel downtown, and I thought that riding through that would be a hoot. 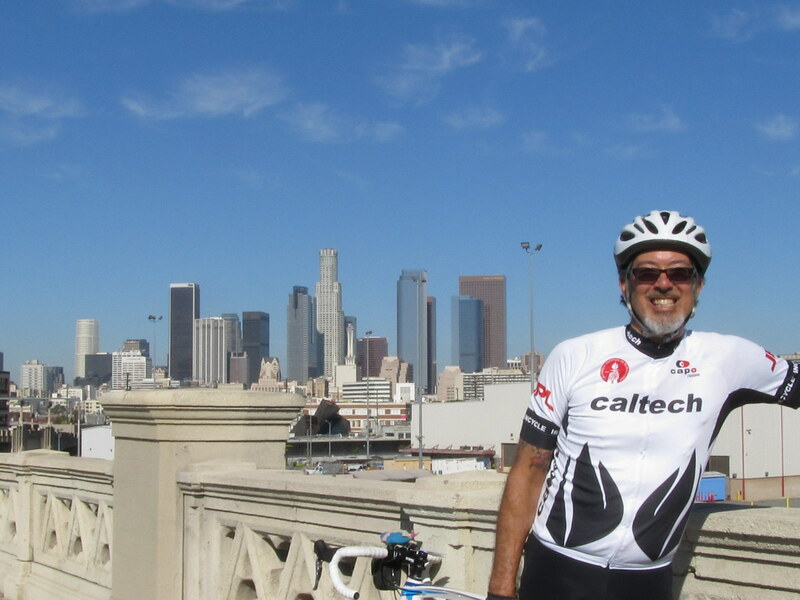 We rode through Temple City and Rosemead before heading into East L.A. 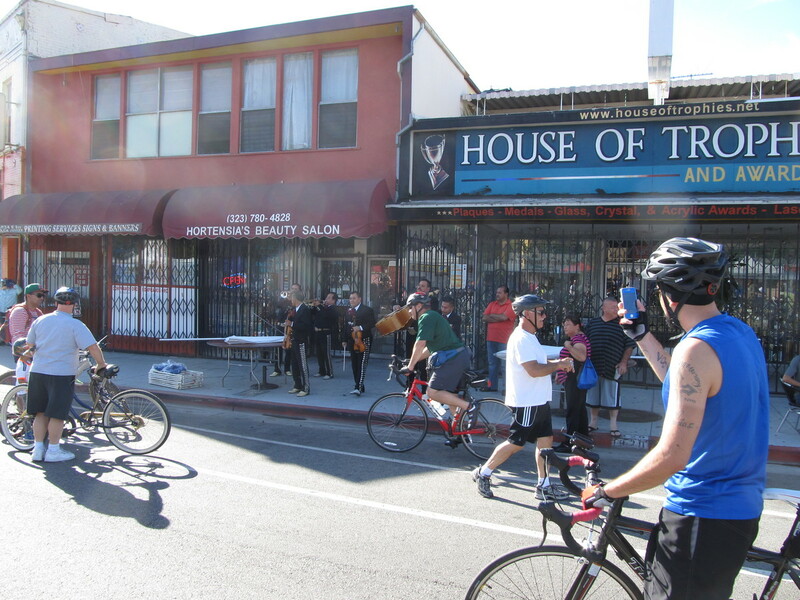 It was basically the same route we took to the first CicLAvia, back in 2010. 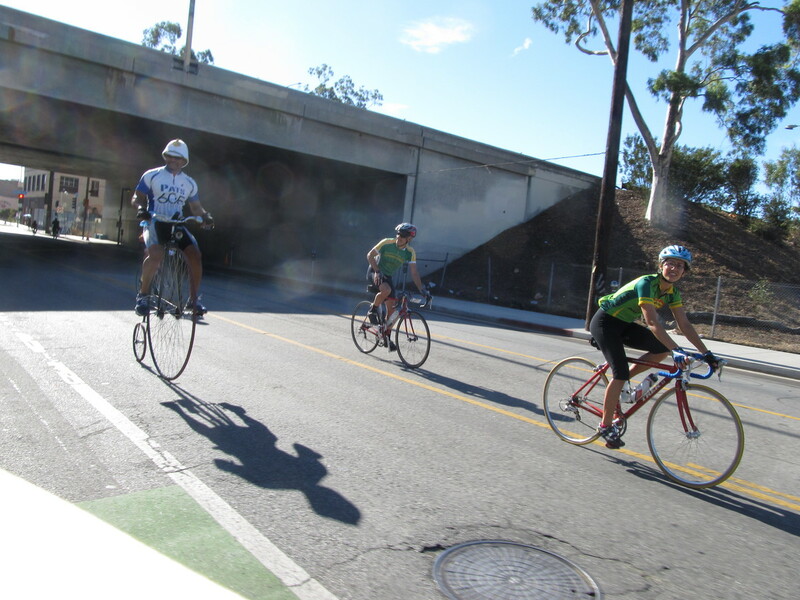 Once we got past East L.A. College, we could see the CicLAvia route on our left. We turned and rode one short block to Cesar Chavez Ave and got on. 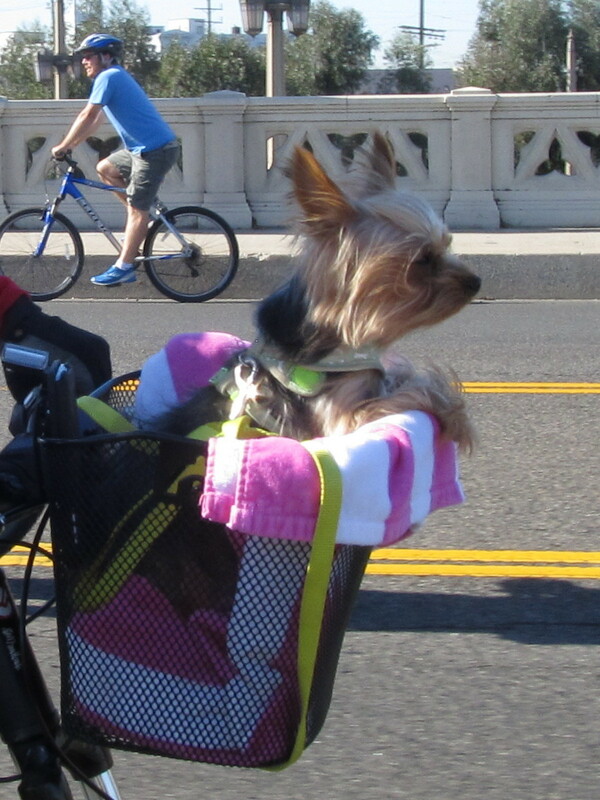 There was a guy riding an old-fashioned high-wheeler bike, which was kind of novel. I stopped to look at the mariachis at Mariachi Square. And then we turned south to 4th St, which took us over the L.A. River and into downtown. I stopped for a photo on the 4th St bridge, since it was a place where I could see every downtown skyscraper I’ve ever climbed all at once. 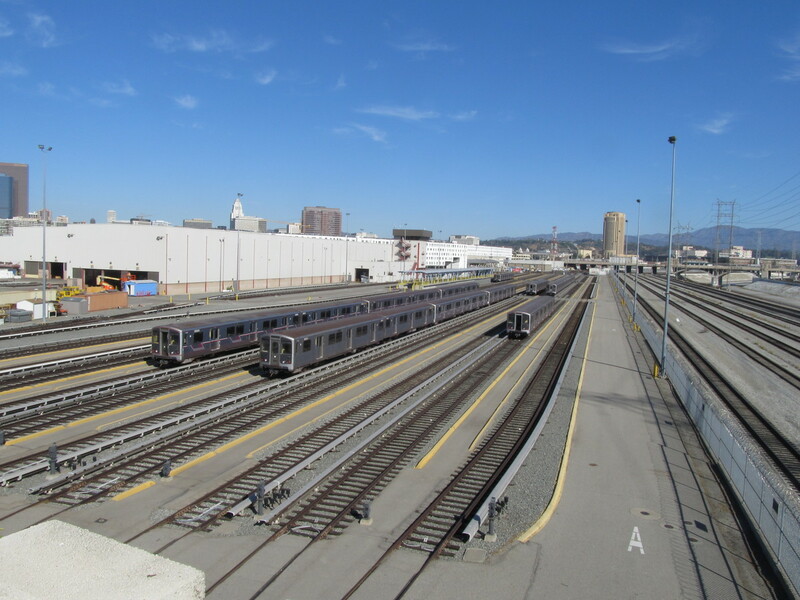 Passing through downtown, we arrived at the 2nd St tunnel. This tunnel is used in lots of car commercials and movies filmed in downtown. And while we were riding through it, I noticed that the street had been striped with a bike lane. It was done with a buffer zone and plastic pylons, so it might not be all that bad to ride through, even on a normal day. I’ve recently gotten a new bike, the first since 2004. 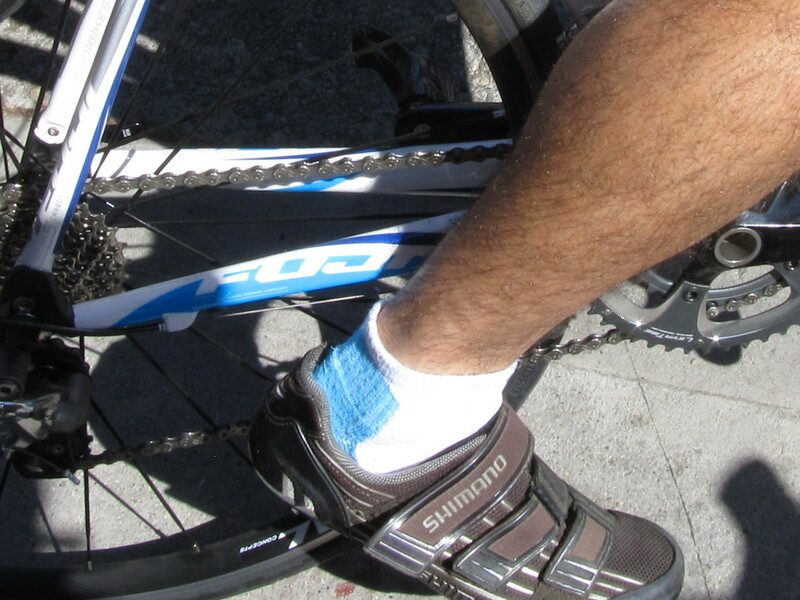 It’s a bit odd to by riding a bike that’s shiny and new and not covered with dirt. And I was even (accidentally) color-coordinated with it today. That was weird. Anyway, it was a nice ride.